Social Media can be a bit of a difficult space for an affiliate business. An affiliate website acts as a conduit to a merchant website; thus by that very nature much of “the story” belongs to somebody else. It must therefore seem to some that the only opportunity is the following: create multiple profiles – use automated software, or rent-a-fan packages to generate an audience of followers – publish automated messages containing links to your site – get clicks. If short-term traffic and revenue boosts are your goal, then this may look like success to you. I’m not here to debate the morality of the numbers game or lament “there goes the neighbourhood”. I have no interest in lecturing an audience on the proper way to use a product which does not belong to me. I do however, know through experience that there are more benefits to participating in social media to be had. At theMediaFlow we help develop affiliate websites into brands. We’ve seen how a true social media strategy brings many rewards and opportunities time and again. Many successful affiliate experts do this well, and generating an identity and buzz to an affiliate business seems to come naturally to them. On the other hand, some affiliate site owners may not feel disposed to social media or may not feel comfortable measuring “guru-touted” conceptual benefits of the conversation. It is not true that social media is difficult to measure, or that returns are less tangible. 1. Two guest blogging invitations; on good quality, demographically relevant blogs. 2. Identified a business development partnership opportunity with a similar business. 3. Donation of a highly desirable prize to be used in a competition. 4. Exposure to a wider audience organically, as content is shared by the existing community. *I appreciate that this is very difficult to substantiate and of course, do your own research; however on now numerous occasions we have seen improvements to rank on homepage terms following the implementation of a rounded social media strategy, (when no other activities were in play.) It is my considered opinion that true social media participation habitualizes activities that contribute to signalling greater credibility and authority. 1. Set some initial short and long term objectives. If you’re just getting started then a short term objective could be as simple as “by the end of month one we will have identified a list of more than five highly influential twitter users in our sector”. 3. Identify as many clear USPs’ for your website as you can. 4. Think about what you do as a business that could be leveraged to generate interest; that is worthy of sharing. 6. Identify other sources of content that are complementary to your own and also of interest to your audience demographic. Be prepared to share external content as well as your own. 7. Research and identify the tools you will use to help you communicate efficiently, deciding on if and what level of automation you may wish to intersperse with your personal communications. If Twitter is a core focus, I’d recommend this excellent list of tools to help you identify and grow your audience. 8. Spend some time on your chosen social media sites identifying and observing those that do it best. As an affiliate it is always useful to follow your merchant brands and observe those who do it best. You may also uncover highly active and influential participants by doing this. 9. Start communicating and engaging those you are following. Offer something of value; ask a question or opinion and try tailoring to an area of interest or expertise for the person you’re attempting to engage. 10. 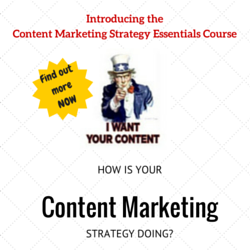 Start to implement your prepared content plan. 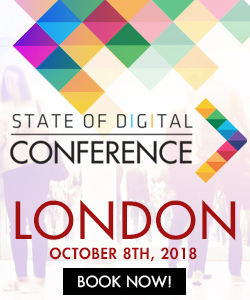 If you would like a more detailed guide to identifying your audience and listening before engaging, then I’d recommend you check out the following presentation on Social Media for SEO, delivered by Lisa Myers of Verve Search at the recent ThinkVisibility conference. Whilst social media participation may not be as natural a fit for some affiliate websites as for direct-cause, brand or merchant sites; there are still many rewards to be had and relationships to be made, once the groundwork has been done. Editorial note: in 3 weeks time A4U Expo kicks off, State of Search will be there to cover the event. Check out the event page here. Want to go to the event? You can register here, but be sure to check in back here this week because we will be giving away a ticket to A4U! The Googlolution – Is Google changing too quickly?